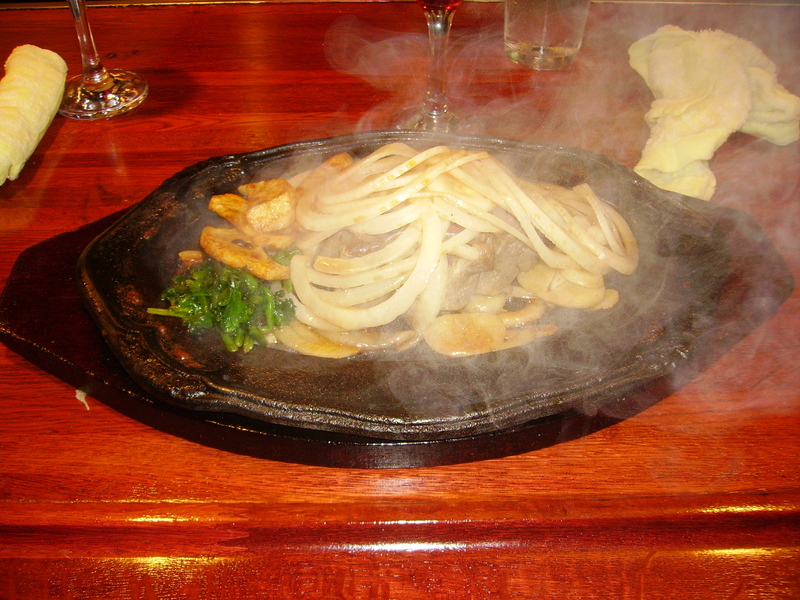 The Kobe beef was expensive why would somebody spend that much money on some steak……and then I took a bite, and I taste the tenderness and the flavor, and it was even better when I mixed it with the onions and the rice. Best meal I have had in my life and I would spend the money again and next time I will get the large and drink more wine. Like I said they give you the wine so you won’t realize how much money you are spending. I would have loved to get the Kobe beef with you guys, but I just couldn’t swallow spending that kind of money while I’m a poor college student. If I ever make it back to Japan (which I seriously hope I do), I will definitely be trying it because it sounds amazing! That meal was good and it is consider cheap for Kobe beef as well (normally it would be like $200 for that). It is interesting that everyone is so focus on eating and absorb in the atmosphere that they stop talking when they got their beef while in the other meals we’ll be loudly enjoying it! Also although Kobe is very good I still prefer Matsusaka beef which is on the same tier of the best meat ever in Japan, you guys should try that one sometime too! Oh man I just immediately got hungry when I saw that picture and recalled how good this was. I’ve never had a steak that was prepared like that and was so good. Had I not come to Japan I probably would’ve never paid that much money for that (not at this point in life anyway). But it was so worth it. And the fact that it was still cooking as I received it made it that much better. I NEVER eat onions, but I made sure I ate every last one when I got them with this steak. I regret not going back a second time, but I am very glad I got the chance to go a first time. « How About Some Service Here!